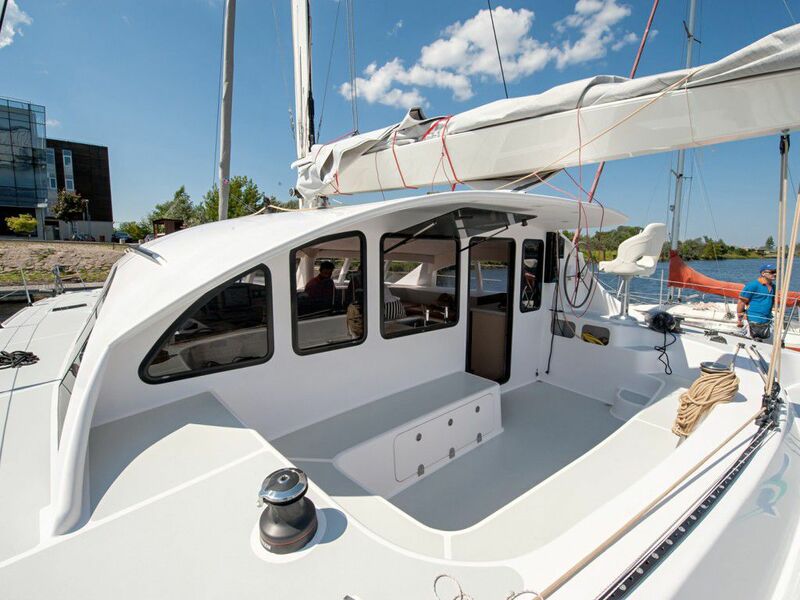 If you're looking for a Secure, Fast but Spacious catamaran under 50ft, Class 4 is a wonderful platform fast and easy-to-sail (short handed). You achieve over 250miles per day in comfort. 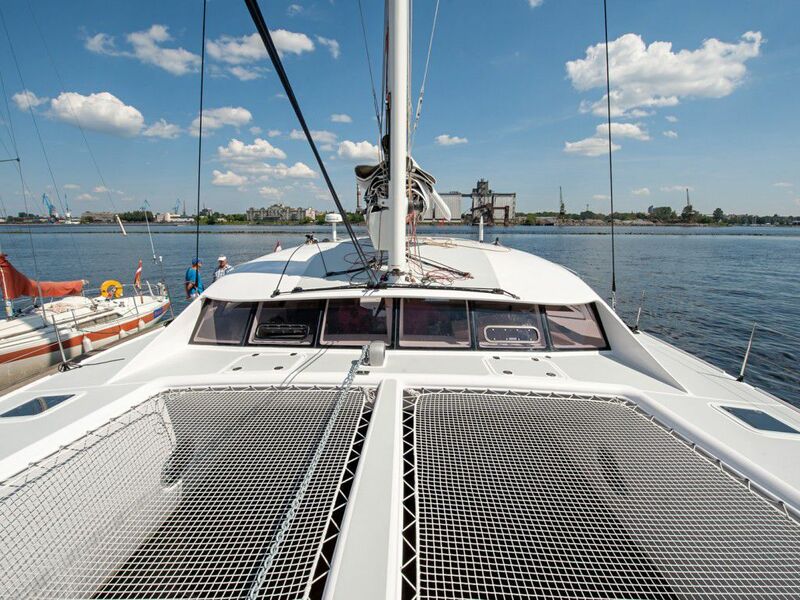 Demo catamaran is for SALE or rent at very competitive price. 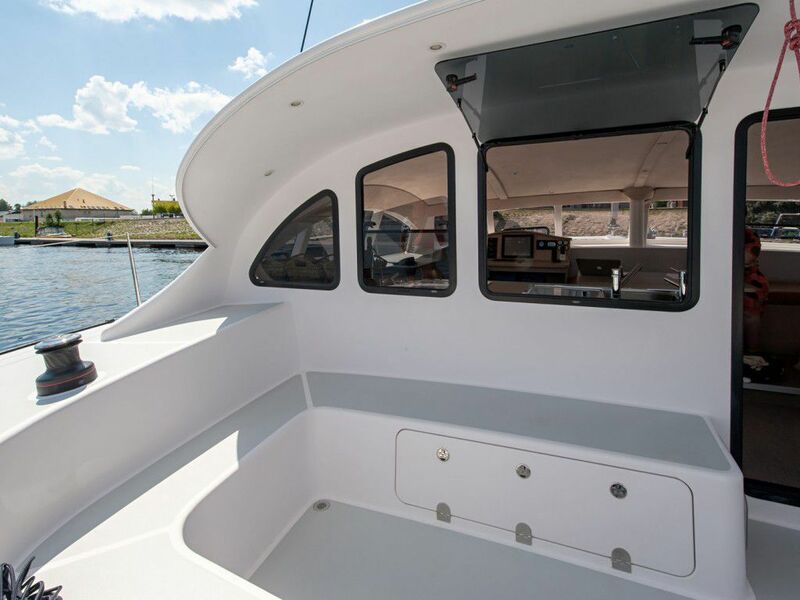 Class 4 is a light displacement (7500kg) due to the quality of workmanship and top material/brands used. She will definitely shine in any race, with a slim hull to guarantee exceptional upwind angle. 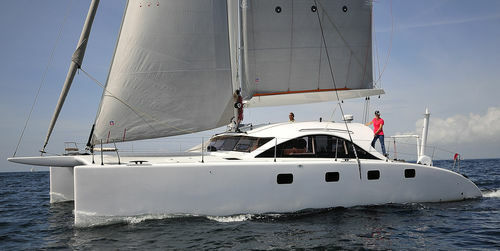 If you do not race and just cruise in family, such performance is key for security and sea motion during long passages. The best way to avoid bad weather forecast is to go away or arrive to destination ... fast. 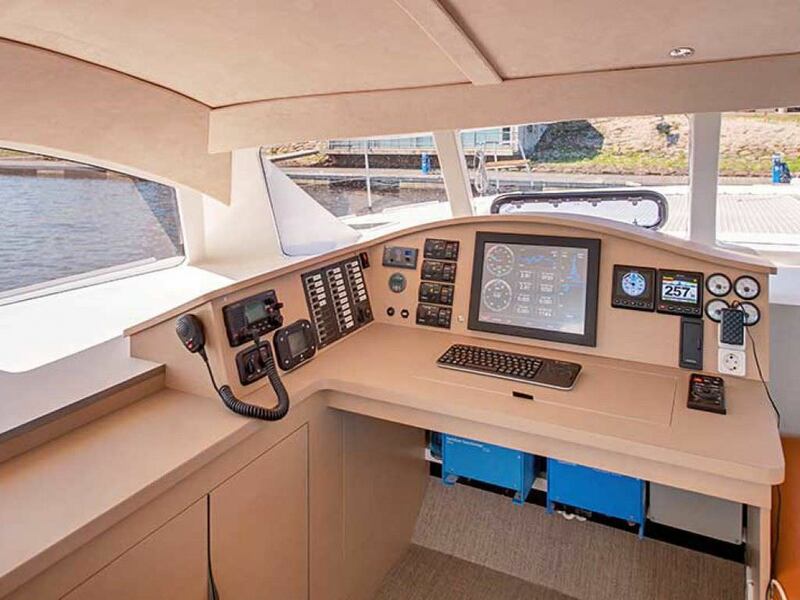 Extensive customisation for cockpit, interior, rigging..